I’m a little late with this post, but I am no less thrilled than I was the very day, on March 8, 2019 when one of my images was selected as NASA’s Astronomy Picture of the Day (APOD). This years Winter Star Party (2019) was one of the best I’ve seen in 15 years weather wise. We had clear skies a good portion of every night, and I managed to capture close to 7 hours of data on this target over the course of four evenings using my favorite imaging combination, my Sky-Watcher Esprit 150 refractor and an FLI MicroLine 16200. I have a MoonLite NiteCrawler focuser/rotator upgrade for the OTA as well, and it’s just a rock solid and reliable combination. I could set my software to autofocus every time I changed filters, and I’d let it run for a couple of hours while I looked through friends visual telescopes and enjoyed a brownie or two from Mickie’s Kitchen. 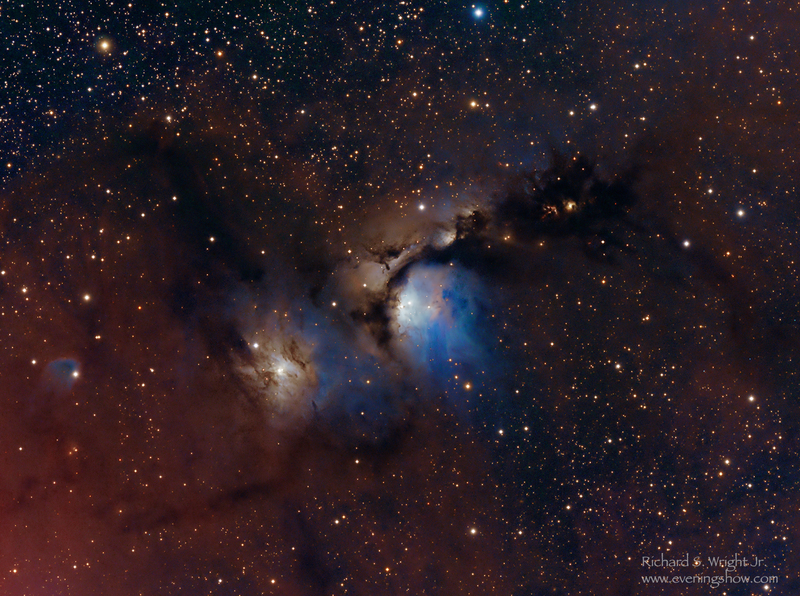 Messier 78, a wonderful and dusty reflection nebula. Previous post What is Stretching?